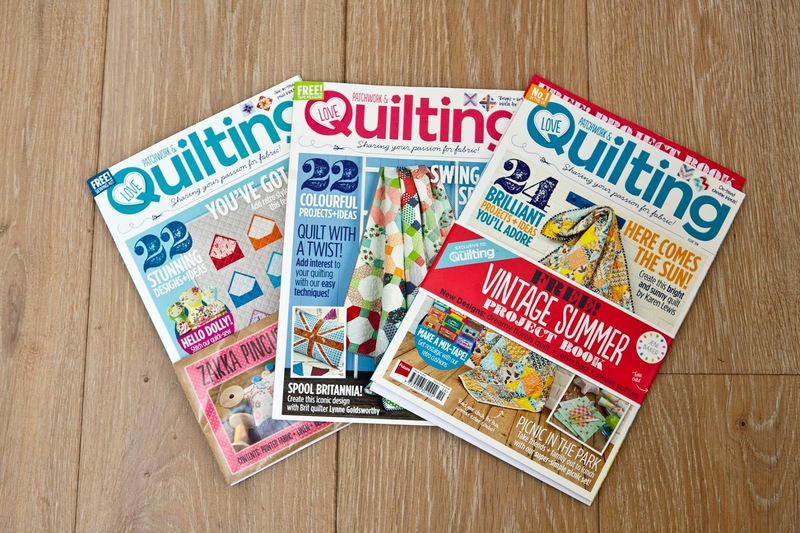 Love Patchwork & Quilting the fabulous quilting magazine for which I make regular contributions and that now has reached its10th edition kindly sends me a copy of each edition in which I have a quilt or other crafty contribution. I also have a subscription and that is good news for you because I have 3 editions double that I happily give away to three blog readers. 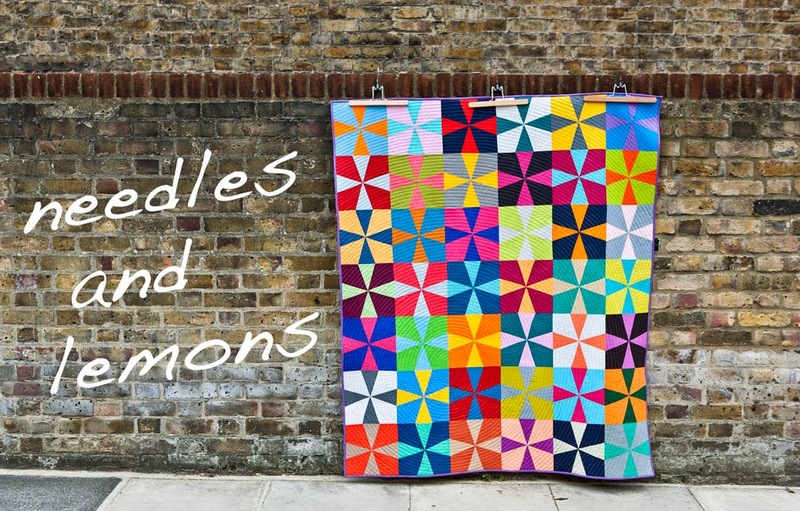 I have issue 7, 8 and 10 to give away and each is packed with fantastic projects. 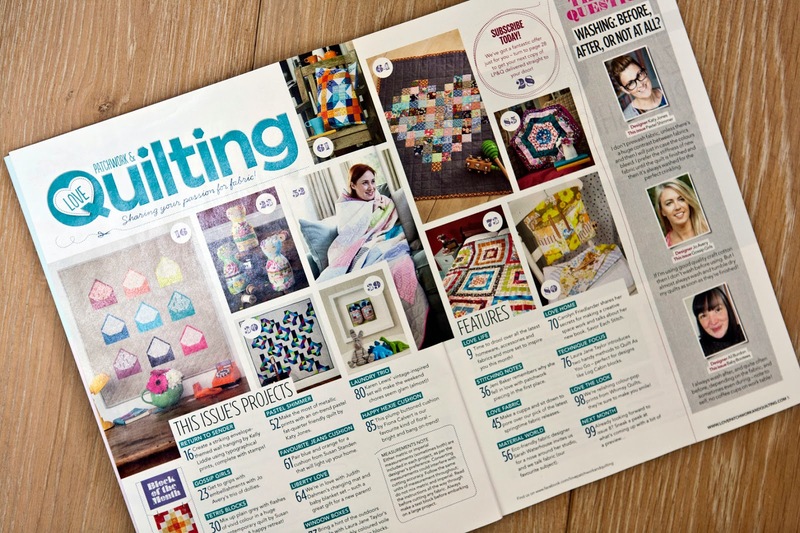 Issue 7 had my heart shaped Liberty changing-mat and amongst other great project a beautiful voile log-cabin quilt by Laura Jan Taylor and really cute Baby booties by Ali Burdon that I may have to make for my niece ! Issue 8 had another Liberty project from me, this time a sewing on-the-go zippered bag and needlebook and the most luxurious plus cushions from Susan Standen and very cute Hot Dogs by Jo Carter. And the most recent edition No 10 has my Windmill quilt pattern and the coolest of cool tape recorder cushion by Julianna Gasiorowska and a very elegant Oakshott quilt by Lynn Goldsworthy. So if any of you want to get to know the magazine then please leave me a comment below. I would welcome the chance to look at a copy. I hope I win, and I hope my copy has one of your contributions in it. It would be marvellous to win a copy. Thanks for the chance in your Giveaway. I would-be really like to win a copy. Would love any of them. I would LOVE to win any of the copies. I do not have any of them. Thanks for the chance to win. I would love to win a copy. Thanks so much for sharing! They all look great. I don't have any of them. Thanks. I would love a chance to win, thanks! Would love to win, always interested in new sources of inspiration. How lovely and generous! I've never seen this mag in person, but it certainly looks chocked full of inspiration. I'll keep my fingers crossed ;o). Thanks so much for giving us a chance to win a copy! Iam excited! Thanks for sharing -- I would love to read one of these! I bought Issue 8 while on holiday in England, great magazine. I would love to win one of the other issues. Thanks for the chance. I would love to win any of these issues! 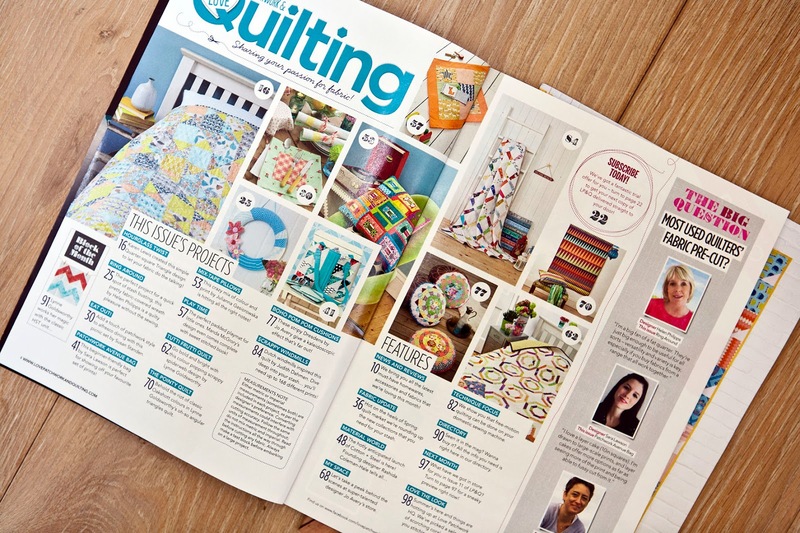 Oh I'd love any of those, there are woefully few quilt magazines on my shelf. Thank you so much! Oh, they each look like so much fun! 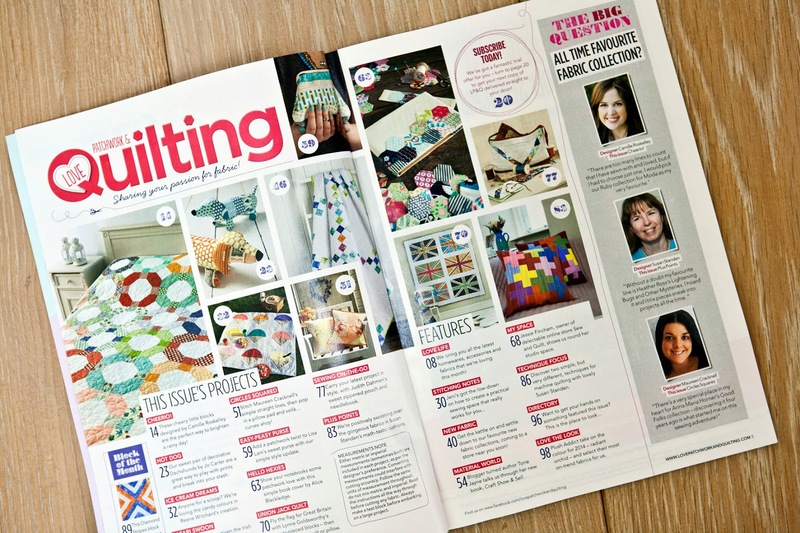 This is just the best patchwork & quilting magazine on the market, full of amazing projects. I have issue 7 but would love to win one of the others - thanks for the very generous giveaway. Wow, you have been busy with publication projects. I'd be very happy with any of these issues if I were a lucky winner.